Sometimes the only thing we need is a perfect ladies dress material so that we can be able to make designer dresses in our ways and preferences. For most Indian women, the option to buy unstitched churidar materials is never far from their minds. This is a brilliant idea at times because it gives you the freedom to have custom-made womens clothing that suit your unique taste of fashion and design. Other than depending on the creativity of someone else, a lot of women are putting to test their preferences and add a touch of their personality to their customized clothes. This has been able to pay off for them, and a lot of women have taken to this practice. To support these women, other than offering readymade clothes, we also offer unstitched suits. From Craftsvilla, you can get a lot of dress materials online that you can purchase and get the clothes made by a tailor of your choice or stitch it at home. The wide range of latest dress materials found at Craftsvilla is gorgeous and come at amazing prices. They will meet your requirements without any problems. Whatever kind of fancy dress material you may be looking for, Craftsvilla has it. You can comfortably do your dress materials online shopping with Craftsvilla, and you will be satisfied. It is an interesting thing to know that from a very long time ago, human beings used to clothe themselves. Even so, the materials they used to make clothing where very primitive and hazardous to the environment. The ‘Ancient’ people used to make clothes using grass, fur, and animal skins. However, as they evolved and civilization kicked in, these were done away with. Therefore, they started using modest materials to make mens fashion related clothes as well. To make the cloth that would be used to make clothing, they would weave, felt, or knit different kinds of fibers that could either be natural, synthetic, or cellulose. From these different fibers, there arose different cloths like fabrics which are made from cotton, silk, wool, flax, and ramie. We also have denim, leather, and fur. Because of technological advancements and innovation, human beings were also able to make human-made materials that include nylon, polyester, and spandex. Nylon was the first man-made material to be made, and it was in the year 1935. These are the most popular. Because of the diverse nature of fabrics available Craftsvilla can offer the clients all kinds of fabrics. That is why you can get a cotton dress material and many others so that you can make your suits. You can check out any of our dress material with a price that will impress you and purchase it today. Let Craftsvilla take care of you. 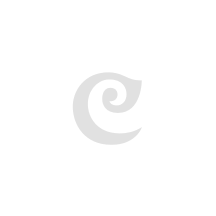 Craftsvilla is always your one-stop shop for all your needs. For a very long time now, we have been able to supply the Indian woman the finest and latest dress materials for them to use. We have always purposed to offer high-quality materials that are going to meet their standards. 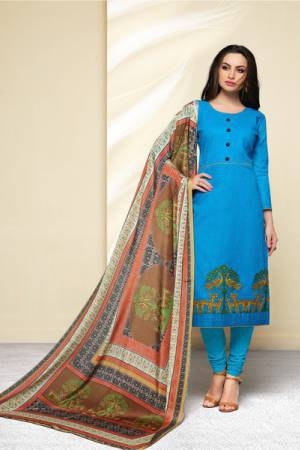 As you look through our collection of unstitched suits, salwar suits, etc. you should consider the following factors before you pick the fabric. The dress material design: this is very important as every fancy dress material will have a unique design to it. You should have in mind the favorite patterns that you prefer. Do you like Tie and Dye, do you like animal prints, plain, graphic prints, checked, polka dots, and so on? What do you like? The type of fabrics: as you have seen, there are different types of fabrics. We have pure cotton dress materials, silk, chiffon, georgette, and so much more. We also have different kinds of silk and cotton materials. Therefore, you have to be very specific. The color: depending on the colors that you love most and those that flatter your skin tone, you should be able to choose wisely. The length of the unstitched suit: typically, unstitched suits come in three parts. The Kameez or Kurta fabric piece, the pants or skirt fabric piece, and the dupatta piece. Every unstitched suit will have varying lengths of these pieces. Therefore, depending on your size and length specifications for the suit, you will be able to make a wise decision. The occasion: the occasion to which we will wear the stitched dress made from the women dress material will influence your choice. Will be attending a wedding, a party, a traditional event, or a formal event? Will you make a suit for casual wear or work wear? The answer will help you pick the most appropriate new dress material we have in store. Craftsvilla has dealt with a lot of dress materials over the years. For all of our clients who bought any dress material design from us can attest that they are always high-quality materials that are long-lasting and very gorgeous. One look at the dress materials online that we offer will give you a clear indication that Craftsvilla is all about the best designs, the best styles, and the best options. Other than that, we also stand out because of the prices we sell our dress materials for. As you go through any cotton dress material with price, you will realize that at Craftsvilla, you will always get what your money is worth and more. We are a company that is always pursuing the best materials with the best features so that our clients can also have the best from us. Every woman wants churidar materials that are going to make them stand out from the crowd and bring out the best of them to the surface once stitched. This is what any women dress material purchased at Craftsvilla will do for you. As you purchase a cotton dress material online or any other, there is a level of simplicity that you will enjoy with Craftsvilla. Unlike other places, we have everything in place to ensure that you experience the best time of your life shopping. Our customer support is always at your disposal to make everything run smoothly and swiftly at all time. We also offer you a very safe and secure space for transactions and communications. We have layers of security for our website and mobile apps to ensure that your information is never exposed to any other malicious parties. Craftsvilla has taken care of anything that would make your experience a negative one so that you can enjoy the charm of shopping with us.